Spirituality Leadership Award:Rev. Steve Jackson– Reverend Steve Jackson is the Pastor of Mt. Joy Missionary Baptist Church, the oldest Black Baptist Church in Edwardsville, Illinois. Mt. Joy has been richly blessed to have had Rev. Steve Jackson as its Pastor for over 40 years. 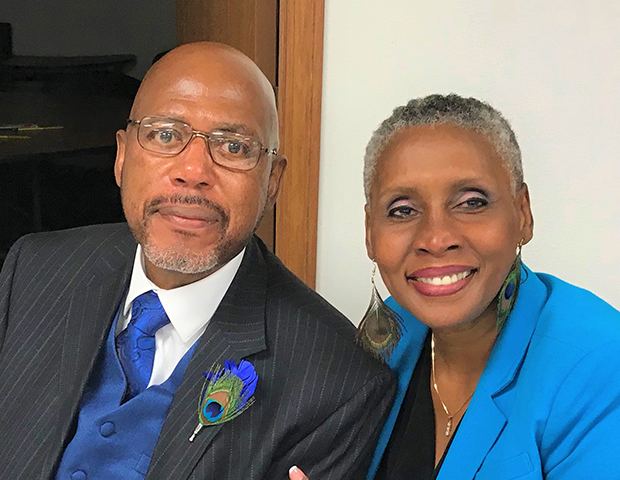 He has worked to increase the diversity of the congregation and the youth program under his leadership has grown tremendously to include children’s church, young people’s dramatic performances, praise dance troop, worship and praise team. 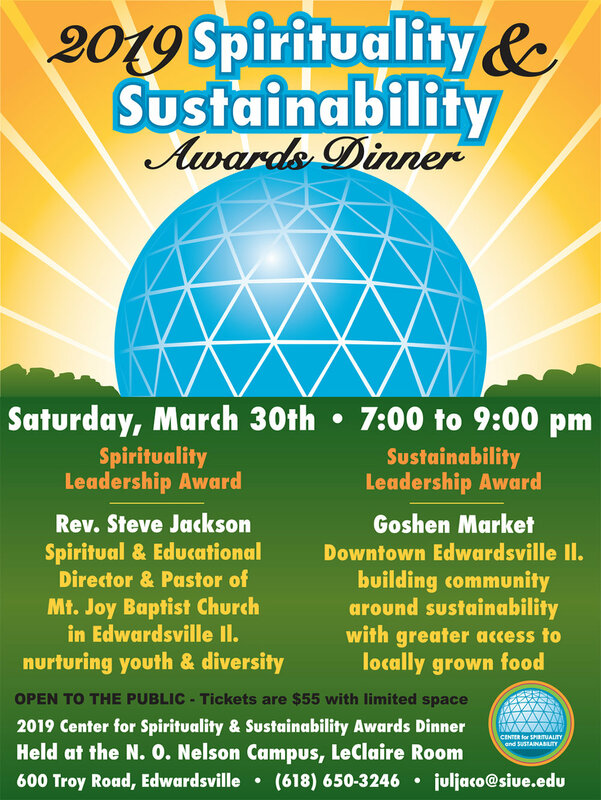 Sustainability Leadership Award:Goshen Market– For over twenty years the Land of Goshen Community Market in Edwardsville, IL. 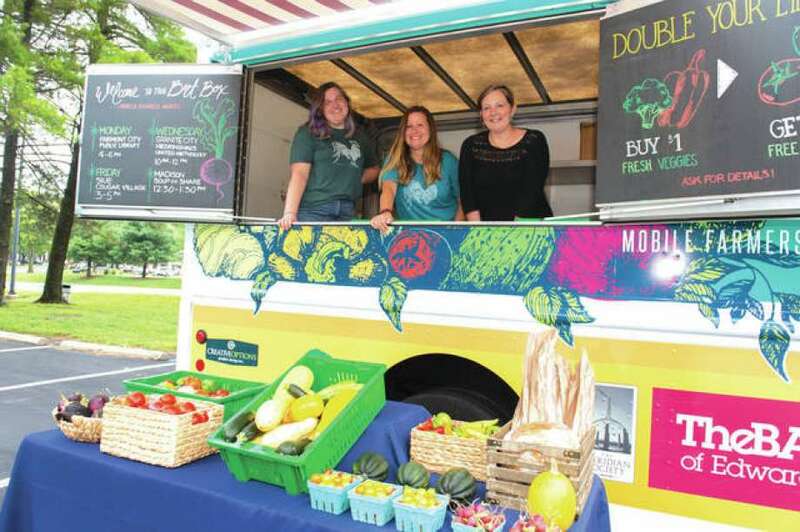 Has provided local produce, crafts, and music to downtown Edwardsville. The Market has proven to be an integral part of the community using its resources to provide greater access to healthy food, encourage the growth of local agriculture and to educate the community on sustainable farming practices. The Center for Spirituality and Sustainability is a nonprofit multifaith home for spirituality and sustainability efforts housed in the Buckminster Fuller designed dome on the SIUE campus.